B-2/147 CIVIL LINES , NEAR HEAD POST OFFICE / MONA MEMORIAL CHURCH, CIVIL LINES , HOSHIARPUR 146001. PUNJAB, INDIA . Sunday: By prior appointment only . 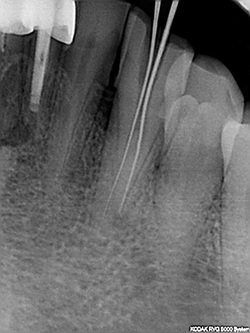 Root Canal Therapy ( RCT)- Single & Multiple Visit . Implant Supported teeth - single / bridge , Overdentures . Fillings- Tooth Colored Light Cured Composite Fillings , Metallic Fillings - Silver/ Gold . Ultrasonic Scaling ( Cleaning ) of Teeth. Teeth Whitening - Lightening the Shade of Teeth , Single / Multiple- In Office & Home . 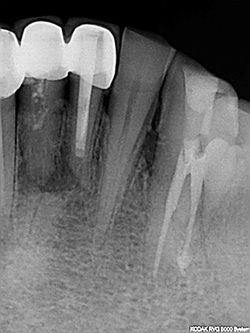 Simple Extractins & Surgical Extractions - Removal Of Impacted Teeth . Management of Traumatic Injuries of Teeth & Face . Treatment of Fractures of Jaws . 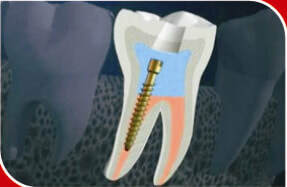 Replacement of Missing Teeth using Partial/ Complete , Normal & Flexible Dentures/ Bridges , Implants . Orthodontic Treatment - Correction of Mis aligned Teeth . Treatment of Gum Diseases & Gum Surgeries . Treatment of Children`s Teeth . Pit & Fissure Sealants . Splinting of Mobile Teeth . 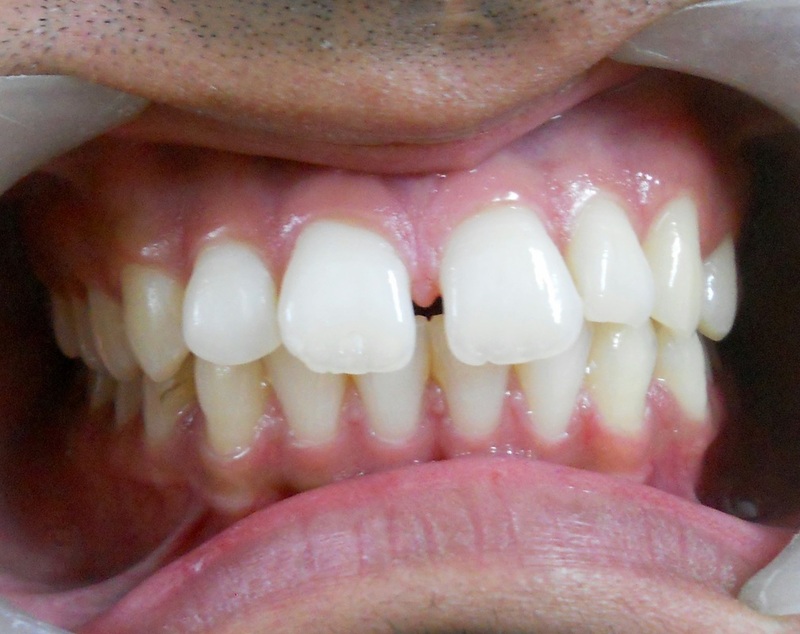 Instant Replacement of Lower Front Mobile Teeth with Implant Supported fixed teeth . Relining -Tightening of Loose Dentures . Soft Lining of Dentures . 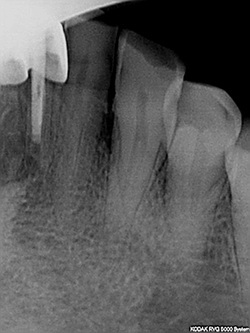 Digital Dental X Rays -RVG. Tooth Color - Metal Ceramic / Metal Free & Metallic Crowns . Direct & Indirect Veneers . PLEASE NOTE : All procedures are performed following a very strict sterlisation protocol . All instruments are washed , placed in a Ultrasonic bath to remove microfine debris , then autoclaved & stored in UltraVoilet Light Chamber/ Sterlisation Pouches . 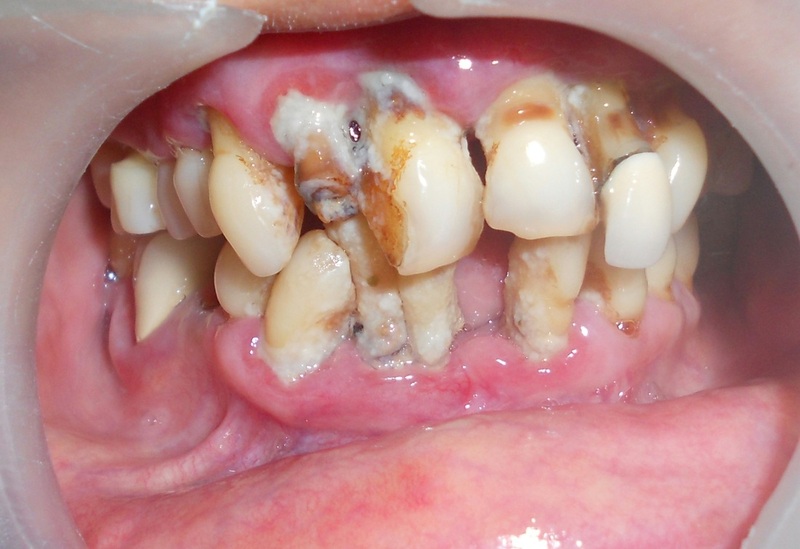 CASE INFORMATION :- This lady reported with the complaint of front crooked teeth. 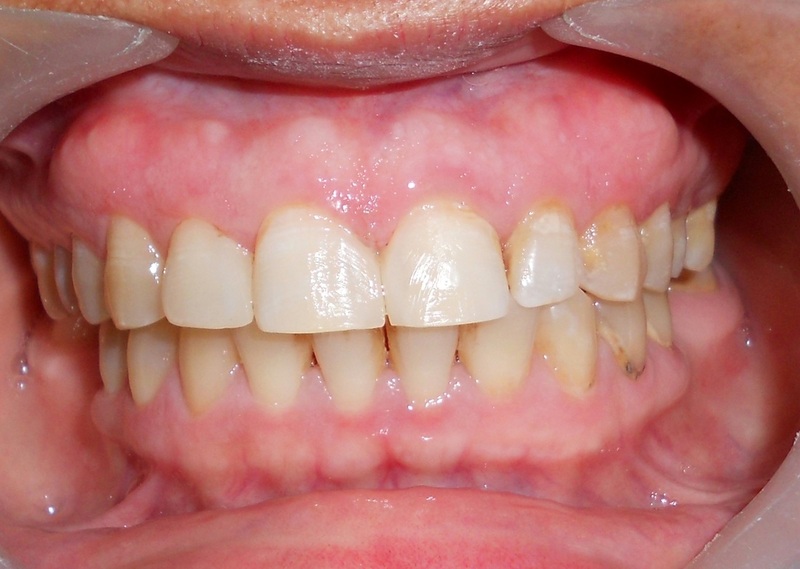 She had lost her self confidence & avoided smiling & talking due to these unsightly teeth. Treatment Given:- The loose front teeth were extracted . 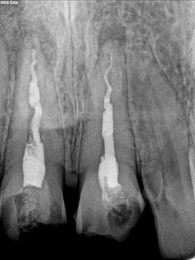 Single Visit Root Canal Therapy was carried out in the canine teeth , which were then prepared for canine to canine Immediate Acrylic Temporary Bridges. She regained her lost confidence & started smiling & talking again. The patient returned after about an year. The acrylic temporary bridges were replaced with the more sturdy Metal Ceramic Bridges. 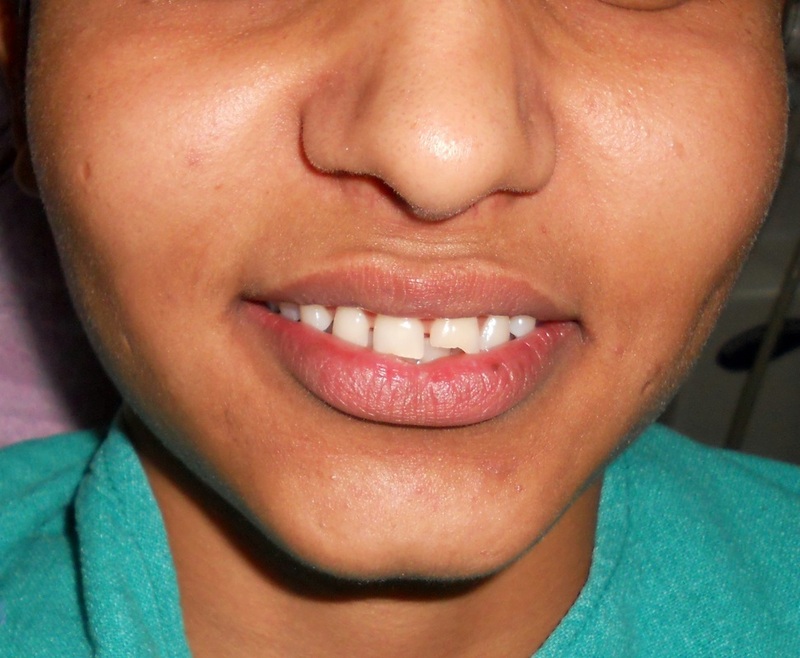 These are pictures of patients with wide space between their Upper Front teeth called Midline Diastema . 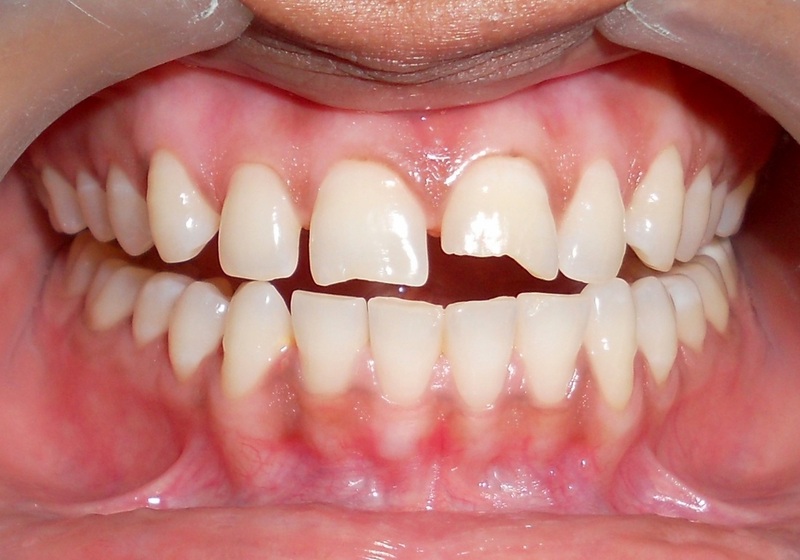 This space is closed by adding tooth colored composite resin material to both the teeth . This slightly increases the width of these teeth & results in the reduction of the wide space to the normal paper thin interdental space . Two rooted lower canines are very rare . Proper Diagnosis with Digital X Rays is a must for success in such cases . Correction of a perviously done poor root canal treatment , that is REVISED RCT has been performed in the following cases & Metal Free Crowns have been provided after core build up . The natural teeth are translucent & allow some light to pass through them & this passage of light influences the shade of teeth . The traditional Porcelain Fused to Metal Crowns ( PFM) do not allow light to pass through them & their neck margin areas appear dark as the metal hue shows . Metal free crowns are like natural teeth as they allow some light to pass through them & there is no marginal discoloration as there is no metal . This results in Excellent Esthetics . 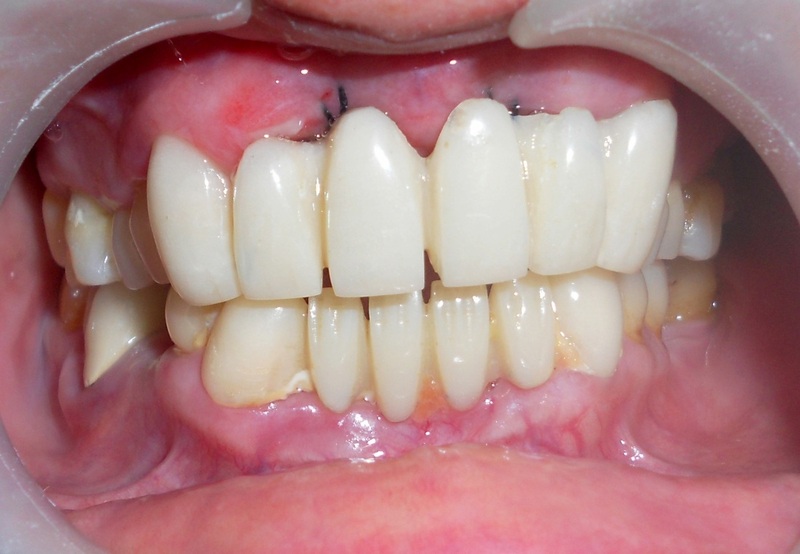 SMILE IMPROVEMENT: Restoration of fractured upper front teeth with Light Cured Composite Resin. Please note: This website has been designed by Dr Navdeep Saini, without any professional help from any quarter . Suggestions from visitors are welcome .